We also request details about your current & previous studies as well as your learning goals at UW-Stevens Point. Finally, we ask about your living preferences. Your responses to these questions are shared with the UW-Stevens Point Office of Residential Living and considered by Residential Living when they make your campus housing assignment. The number one reason admission decisions are delayed is due to incomplete application forms. Please help us to help you by making sure you answer all questions on the application. Admission to the University of Wisconsin-Stevens Point is competitive. All applications are reviewed on an individual basis, with both academic and non-academic factors considered. Applicants with strong academic backgrounds who have also demonstrated achievement outside the classroom hold the most appeal. Applicants must provide original copies of academic records from each high school, college, and/or university attended whether or not a degree, certificate or diploma was earned. TOEFL iBT: Score of 78 and above, with minimum scores of 17 in the Speaking and Writing sections. 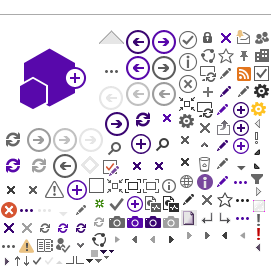 UW-Stevens Point code is 1919. IELTS: Score of 6.0 or above, with no sub-score below 5.5. 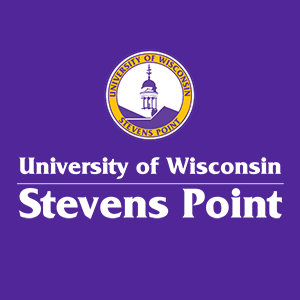 Official IELTS results should be sent directly to the UW-Stevens Point Admissions Office. PTE: Score of 52 or above. SAT: Evidence-Based Reading and Writing section score of 530 or above. ACT: English and Reading section scores of 22 or above. English proficiency scores must be less than two years old in order to be considered valid. Scanned copies, photocopies and web results are not accepted. English may be considered your primary language if you have been raised in an environment where English is the official language of your locality and nation, English has been the primary language used in your home and English was the only language of instruction for all classes in all years of secondary school. Note for non-native English speaking students transferring from U.S. schools: you must present an English language proficiency test score unless you have completed 2 semesters (or the equivalent) of university-level coursework at a U.S. institution. Diversity in background, experience; and life circumstances. While non-academic factors are considered, they will not necessarily make an applicant with a weak academic background a strong candidate for admission. Your personal statement (no more than 500 words, please) should include information regarding your academic performance and co-curricular involvements during secondary school (high school) as well as comments indicative of your plans for study and co-curricular involvements while at UWSP. Friendly advice: Your personal statement is the place to show us what you know! Be certain to explain why UWSP is a good fit based upon your learning goals and aspirations. Your passport scan or photocopy will serve as the basis for your U.S. immigration documents. Your university records will also be keyed to your name as indicated in your passport. Submit an original bank statement or letter (certification) from the sponsor's bank verifying that such funds are currently available for your study at UWSP. We encourage you to pay your application fee by credit card. Click here for our credit card application fee payment instructions & form. This form is also on page 5 of the application form. Please complete and submit only one form. Alternatively you may submit a bank check drawn on U.S. Dollars and made payable to “UWSP” along with the other items you will mail to us. Please DO NOT SEND CASH for your application fee. Upon receipt, we will notify you of your application's arrival by email and confirm whether or not the application is complete and ready for review. Once an application file is complete we are typically able to make an admission decision within 7-10 business days. If you are admitted we will provide preliminary notification by email. We will forward your official acceptance letter and related items by express courier shortly thereafter. Those applicants who are not admitted will be notified by email. You did it! We cannot wait to see you here on campus! Like us on Facebook so we can keep you up-to-date about all the exciting things happening at the University of Wisconsin-Stevens Point.